Palestinian political prisoner Akram Al-Rikhawi is currently on his 83rd day of hunger strike, in severe danger of death. He is suffering from numerous medical conditions, including diabetes, asthma, high cholesterol, osteoporosis, glaucoma, kidney problems and immune deficiency. Addameer reports that “Prior to his arrest, Akram received injections of Kenacort to treat his asthma, but following his arrest, the Israeli Prison Service (IPS) did not allow Akram to take this injection. Instead, it was replaced with injections of cortisone, which is most likely the cause of severe complications, resulting in additional chronic illnesses such as diabetes and osteoporosis, from which Akram now suffers.” Take action today to call for the immediate release of Akram al-Rikhawi! He did not stop his hunger strike on May 14 at the time of the agreement between prisoners and the Israel Prison Services because his unique circumstances were not addressed – namely, early release on medical grounds. Physicians for Human Rights were denied access to Akram for nearly two months, until June 6. He has lost 26.5% of his body weight – and was already very unhealthy. Akram has been refusing medical examinations since mid-May – and in response, the cortisone injections have only increased. PHR has stated that he must be transferred immediately to a civilian hospital in order to receive proper medical care, and filed suit to demand he be transferred – which was denied by an Israeli District Court on June 14. On the heels of the victory achieved by Mahmoud Sarsak after an unprecedented 95-day hunger strike, in which Sarsak, held without charge or trial under a new law labelling uncharged detainees from Gaza as “unlawful combatants” – won his release, scheduled for July 10. Sarsak – a Palestinian football player on the national team – was released after international publicity – including statements from FIFPro and FIFA officials and players – was drawn to his case. 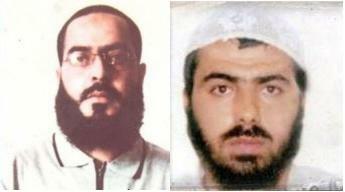 It is urgent that we act now to free Akram Rikhawi and secure his much-needed medical care. 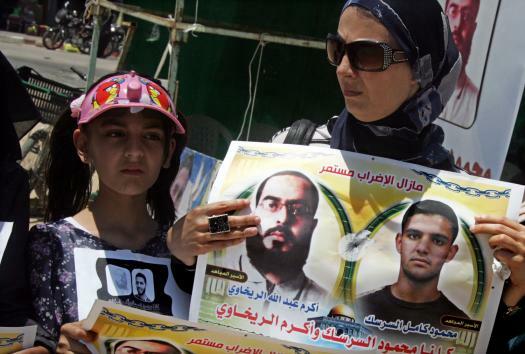 Akram al-Rikhawi is not the only Palestinian prisoner currently on hunger strike. Samer al-Barq has now been on hunger strike since May 22, for 43 days, protesting Israeli violations of the agreement with the prisoners – after his own administrative detention, rather than expiring as agreed by the Israelis at the end of the strike, was renewed for an additional three months. Samer al-Barq is now on hunger strike until his release is secured. Samer al-Barq is not the only Palestinian victim of the Israeli violations of the agreement ending the hunger strike. Notably, Hassan Safadi, a long-term hunger striker who had been striking for 71 days at the time the agreement was concluded, had his administrative detention order renewed by the Israelis on June 21, despite the explicit agreement that the long-term hunger strikers such as Safadi serving in administrative detention without charge or trial would not have those orders renewed. Safadi is now on his 13th day of hunger strike and plans to continue until he is released. In regards to the implementation of the agreement as a whole, one of the 19 prisoners in long-term isolation, Dirar Abu Sisi, has still not been moved to the general prison population, and an additional prisoner was moved to isolation last week. Furthermore, family visits to prisoners from Gaza have not yet resumed, though one month has passed since the agreement was signed. Addameer has observed no change in Israel’s overall administrative detention policy and fears that these practices will only continue without significant pressure from the international community. Administrative detention, mass roundups, and military trials are continuing in Palestine. Activists like Walid Abo Rass, the financial and administrative manager of the Health Work Committees – a community based health organization – continue to be kidnapped and held arbitrarily in occupation prisons. International solidarity and action is needed to hold the occupation accountable for its ongoing imprisonment and abuse of the people of Palestine! 3. Sign this petition to demand the release of Palestinian health worker Walid Abo Rass and all other administrative detainees. 4. Join a protest or demonstration for Palestinian prisoners. Many groups and organizations are holding events – join one or announce your own. Organizing an event, action or forum on Palestinian prisoners on your city or campus? Use this form to contact us and we will post the event widely. If you need suggestions, materials or speakers for your event, please contact us at samidoun@samidoun.ca. 5. Contact your government officials and demand an end to international silence and complicity with the repression of Palestinian political prisoners. In Canada, Call the office of John Baird, Foreign Minister, and demand an end to Canadian support for Israel and justice for Palestinian prisoners, at : 613-990-7720; Email: bairdj@parl.gc.ca. In the US, call the office of Elizabeth Jones, Acting Assistant Secretary of State for Near East Affairs (1.202.647.7209). Demand that Elizabeth Jones bring this issue urgently to his counterparts in Israel.